Clouds begin to gather over the San Juan Mountains north of Durango on Thursday with hopes of a winter storm dropping lots of snow in the high country. A winter weather advisory is in effect for the high country of the San Juan Mountains as a storm approaches that could drop up to 2 feet of new snow. 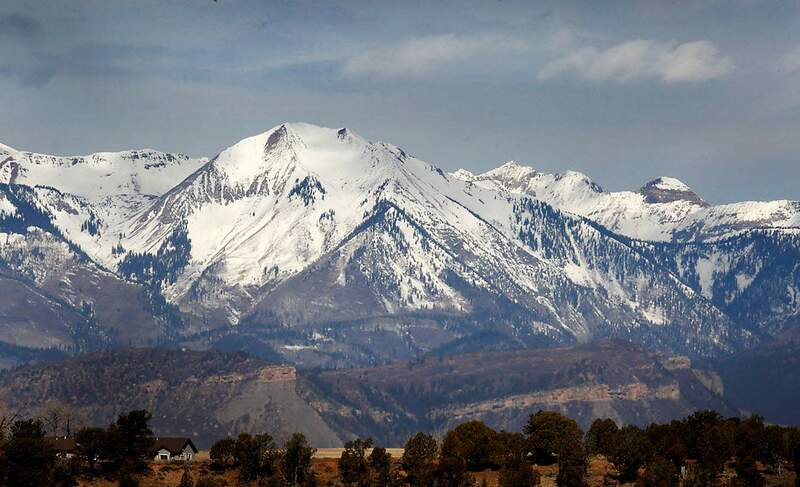 The National Weather Service in Grand Junction said the advisory will be in effect until 6 p.m. Friday for elevations above 9,500 feet. Towns included are Silverton and Rico. During that time, snow is expected with the chance for mixed rain. The NWS predicts snow accumulations of 5 to 10 inches, with up to two feet for favored southwest mountain faces above the tree line. There’s a 30 percent chance for showers in the high country after 5 p.m. Thursday, with the chance of thunder. Precipitation is expected to turn to snow as overnight lows dip to around 32 degrees. The NWS cautions anyone who is driving over mountain passes during that time, as travel conditions will be difficult. Wind gusts are expected to be as high as 45 mph, causing patchy blowing and drifting snow. In Durango, showers are likely after 9 p.m. Thursday, with a 70 percent chance of precipitation. Overnight lows are expected to be around 39 degrees. Showers and possible thunderstorms are also possible all day Friday in town. Precipitation is expected to remain as rain as temperatures hover around 55 degrees. The weekend is expected to be sunny and clear, according to the NWS. Daytime highs will be around 60 degrees. The NWS indicates the next chance of precipitation is slated for Monday night.